A coalition of voting rights groups has sued Florida lawmakers over the redrawing of congressional districts, arguing that the districts were drawn to unfairly favor Republican candidates. The 12-day trial in Tallahassee ended earlier this month and a verdict has yet to be handed down, but it is likely either party will appeal and the case will go all the way to the Florida Supreme Court. If the court ultimately rules against the plan, the Republican-controlled Florida legislature will have to redraw the district lines. Since the U.S. Supreme Court’s recent ruling on the Voting Rights Act, Florida no longer needs to wait 90 days for federal government approval of the redistricting plan. The court itself has the power to draw the maps and new districts could be in place as early as the August 26 primary elections. Passed by the Florida legislature in 2012, the new district maps came as part of the state’s decennial redistricting process, which updates congressional and local legislative district boundaries to reflect population changes in 2010 Census data. However, the process of redistricting has long been fraught with controversy, as legislators continue to draw maps to favor political parties or disfavor minority groups. If the lawsuit is successful, the new district lines can potentially give a four-seat swing to the Democrats, Michael McDonald, a professor of politics at George Mason University and senior fellow at the Brookings Institute, told the Washington Post. While this would not create a majority, it would “make things more uncomfortable” for the GOP, McDonald said. The legal battle, Romo v. Detzner, known locally as Florida’s “Game of Thrones,” is the first time a court has heard a state constitutional challenge to a legislative redistricting plan. The coalition, led by the League of Women Voters, argued that the plan violates the 2010 “Fair Districts” amendments of Florida’s constitution, which prohibit redistricting plans drawn with the intent to favor a political party or incumbent and require districts to be compact and follow geographical boundaries as much as possible. The passage of the amendments has given the courts a new role in overseeing the legislature’s creation of legislative and congressional districts. Despite Florida House Speaker Will Weatherford’s testimony that political consultants did not have a hand in redrawing the new congressional maps, the coalition alleges that lawmakers relied on the advice of consultants who predicted how new district maps would play out in the next election cycle. Weatherford was questioned at trial about Florida’s 5th district, which was one of the districts specifically mentioned in the lawsuit. African American voters heavily populate the serpentine, meandering 5th district, which has been called one of the country’s most gerrymandered districts. Rep. Corrine Brown, a Democrat, holds the seat. Weatherford testified that he knew it was an “African American minority district” when the 2002 map was drawn, and that it was important to ensure the district “could vote for and elect a candidate of their choice.” However, Plaintiffs allege that Republican legislators intended to “pack” Democratic voters, effectively drawing them out of adjoining districts and strengthening these neighboring districts for Republicans. The trial came at the culmination of a lengthy and highly contested discovery process. 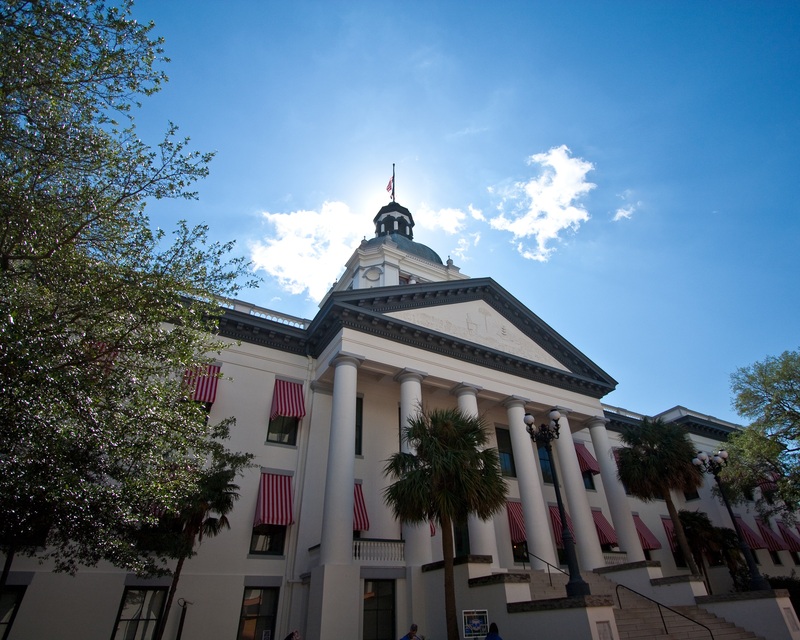 The Florida Supreme Court issued a landmark ruling last December when it held that the trial court could force Florida legislators to give deposition testimony and produce documents related to drawing congressional districts. The court ruled in a 5-2 vote that legislative privilege exists, but is not absolute when there is a competing interest in following the state constitution’s explicit mandate prohibiting gerrymandering. The court rejected the lawmakers’ argument that forcing them to testify would have a “chilling effect” among legislators’ discussions and participation in the redistricting process. The court instead wrote that this chilling effect was the very purpose of the Fair District amendment outlawing partisan gerrymandering and improper discriminatory intent. Another battle arose from over 500 pages of emails, maps, and other planning documents that were exchanged between lawmakers and the Florida-based political consulting firm Data Targeting Inc. The firm argued that the documents should not be entered into evidence because they would expose the company’s trade secrets, causing irreparable harm. The Florida Supreme Court allowed the documents into evidence, but only under seal. At trial, the public and media were cleared from the courtroom while the documents were discussed. In an odd twist, on June 19, Florida’s First District Court of Appeals later overturned its three-judge panel ruling by a larger panel of judges. The opinion came after one of the appeals court judges filed a rare internal motion arguing that the court incorrectly ruled that the documents should be made public. The court held that it should not have ruled on the issue at all, and that the Florida Supreme Court should have initially settled the matter. On June 24, the Florida Supreme Court decided 5-2 to take the case. The trial court was initially expected to rule on the redistricting case by the end of this month, but the continued dispute over the Data Targeting documents will likely cause further delays in issuing a verdict.